After seeing the trailers for this movie and Rami Malek’s personification of Freddie Mercury, I knew I had to go. Nice, brief interview from Vanity Fair. The actor also discusses the criticism Bohemian Rhapsody has received, Freddie Mercury’s soul mate, and the detail he wanted the film to include. 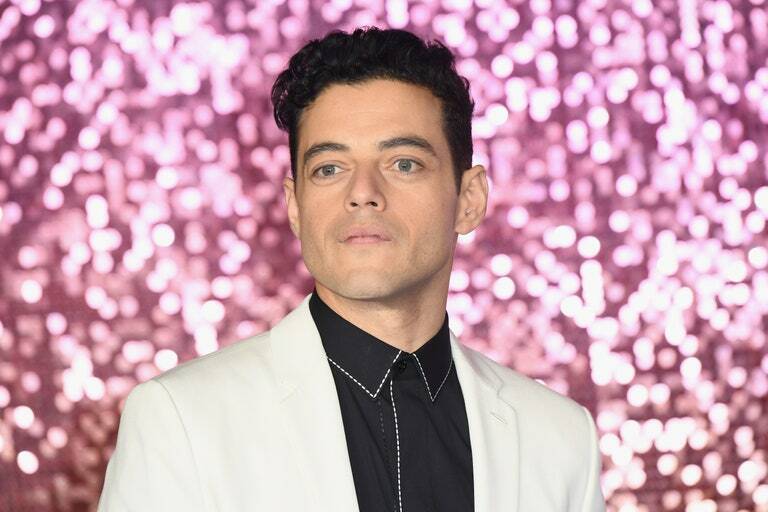 Ahead of Bohemian Rhapsody’s Friday release, awards pundits had been bandying Rami Malek’s name about as a best-actor contender this coming Oscar season. But for Malek, who underwent a stunning transformation to play Queen frontman Freddie Mercury, the positive accolades he’s gotten from Mercury’s Queen bandmates Brian May and Roger Taylor, as well as Mercury’s own sister Kashmira Cooke, are prize enough. “That’s everything to me,” Malek told Vanity Fair earlier this week, adding that he recently received a message from May after the guitarist saw a double-decker bus in London with Malek, as Mercury, on the side. May told the actor that Mercury would’ve gotten a kick out of the signage considering that May and Mercury used to ride into London atop a No. 9 double-decker bus each day before breaking big, to ask their managers why Queen had not yet taken off. May told Malek that seeing the double-decker Bohemian Rhapsody poster was a full-circle moment for him, realizing how far the band had come—not just as musicians but as pop-culture figures worthy of movie representation. The one person close to Mercury who has maintained distance from the project is Mary Austin, Mercury’s best friend and former wife, who is played in Bohemian Rhapsody by Lucy Boynton. The biopic depicts Mercury and Mary’s ill-fated love story, which ended after the musician revealed his sexuality. The two remained friends and Mercury continued believing that Mary—for whom he wrote the song “Love of My Life”—was his soul mate.